Here's a mag setup that is kind of unique. It has 16 teeth on the driving gear and bolts right in place of the generator. Tells us more about this magneto system please. Interesting. There must be some internal gearing in the mag to reduce the speed back down to 1/2 the crankshaft speed. With the 16 tooth gear it would turn 1.5 times faster then the crank. Yep Jim, you're right. It has a planetary gear box between the motor and the mag proper. Looks like an old aircraft mag? I would sure like to have that? It has an impulse, so it retards to start, then advances to a fixed position. The same as in all old tractors !! When gear speed is determined, the number of teeth is used, however is the diameter of the gear also not a factor? I have a fiew starter drives that have 9 teeth some are 1" and some are 1 1/8". They are for different applications but they both have 9 teeth. A gear could have any number of teeth wouldn't the diameter determine the speed? I suppose the diameter and the number of teeth are relative but the diameter seems equally as important as the number of teeth. David, diameter is only about meshing properly (gear pitch). The number of teeth determines the ratio absolutely. "It has an impulse, so it retards to start, then advances to a fixed position." Harold, a stock Model T essentially runs all the time at a fixed timing setting, at least the way I drive it. I fire it up, then advance the spark to the "sweet-spot" and drive it that way until I shut it off. The fixed setting is something of a compromise, but it actually works quite well in my experience. Well, now that you mention it Tom, I guess I really don't mess with the spark advance much either for normal driving, EXCEPT, I am a believer in retarding the spark a bit on a long, tough hill! If you are not retarding the spark to use as a "Jake Brake" you are missing out on a very useful and unique feature of a manually operated ignition spark control. You're right Jim! I'd forgotten that, but I do that too! Any time I see a traffic light go to red ahead of me, I always shove both "rabbit ears" all the way up, and it really does help in letting the engine compression (even 4 to 1 compression) slow the car down and go just that much easier on brake band! Tom : The planetary gear box, is that original or home made ?? Jim, I never use the spark as a "Jake brake". It is a waste of effort in my opinion. When you drive your T's nearly every day, you eventually quit doing all the stuff that really doesn't matter. I just use my foot brake if I need anything more than de-throttling. I would be curious to find out if retarding your spark really makes a significant difference on engine braking. My gut reaction is that it doesn't. Anthony, I don't understand your question. The gear box certainly isn't original to a Model T.
I get significantly more engine braking with the spark retarded. Significant! As for the gear tooth vs. diameter question, for gears to mesh properly, they must be of the same pitch. For any given pitch and number of teeth, there will be a unique pitch diameter. While gear ratio is normally calculated using the number of teeth, one could also use the pitch diameters to do the same calculations, as pitch diameters and number of teeth are directly proportional. Hal, I have heard other folks say that they get more braking with the spark up. I don't buy it. I could be wrong, but until someone (probably me) does a controlled experiment and proves it, I ain't going for it. Besides, my foot brake has always had plenty of reserve, so why bother? Aren't the ten tooth and eleven tooth rear end pinions the same pitch diameter? Bevel gears are a horse of a different color. Since they taper, it's hard to say what the pitch diameter is I'd have to do some research to determine how they are specified. I don't know if it is given at the mid point of the face, or what. My reference above was for spur gears like for the crank, cam, generator, transmission, etc. with parallel shafts. Hal, I'm no expert, but I think that by changing the tooth form that you can also change the pitch diameter of a spur gear too. I'm not sure I understand, Tom. Wouldn't changing the tooth form change the pitch? Since you drive your T all the time I think you should do an experiment on the effect of retarding the spark to assist in downhill compression braking. I have a nice hill here but my car is not going out till the salt and dirt gets washed off the roads. In looking at old driving instructions they most always state to retard the spark for descending hills and many say to shut off the ignition completely. I have not compared the difference between ignition off and retarded spark but the difference between spark advanced and spark retarded seems to make a big difference and controls if foot braking is required or not. On gears of the same pitch cut with standard profiles, the tooth ratio, and the pitch diameter ratio are the same. Gear geometry can be modified so that a set of gears run at non standard center distances. In that case pitch diameter ratio and tooth ratio are different. Gears of different pitches usually will not run together. The starter drive teeth mentioned by David are likely two different pitches. However, it might be one is cut to run at a standard center distance and one is cut to run a different center distance. You really can't go wrong figuring the ratio by counting teeth. Using diameters to figure the ratio can lead you astray. You guys that retard your spark are asking for carboned up spark plugs if you do it for long distances. The best example of that is Trail Ridge. Trail Ridge is 24 miles ALL DOWN HILL to Estes from the top. I learned long ago that if I retard the spark I have a nice miss when I get down to Estes. But anyway its your car if it make you feel better do as you want. In 24 miles of ALL DOWN HILL I have tried various positions with the Spark to all the way shut. It DOES NOT give you any more compression. Jim and Hal, I will have to try it. Maybe I'll be convinced. I still probably won't do it as I go years without ever changing bands. When I went on my 48 state tour I drove 10,000 miles and never adjusted my bands once. I also never threw my spark up on a hill once. That includes Wolf Creek Pass that is 11,000 feet up. Maybe on a very long down grade the fuel mixture should be leaned out or even shut down completely. If you have little or no fuel there can be no carbon build up. Another reason for carboned up spark plugs could be not adjusting the air fuel mixture to compensate for the lack of oxygen at higher elevations. If no mixture adjustment is made when traveling from lower elevations to higher, then the engine will be running too rich. I drive EVERY day of the week, much of its in the mountains. Just today I drove up Deer Valley and then up highway 34 to Estes. From Estes to Loveland is 22 miles all most all of it DOWN HILL. Never do I retard the spark. I just can not see how that is supposed to increase your compression. 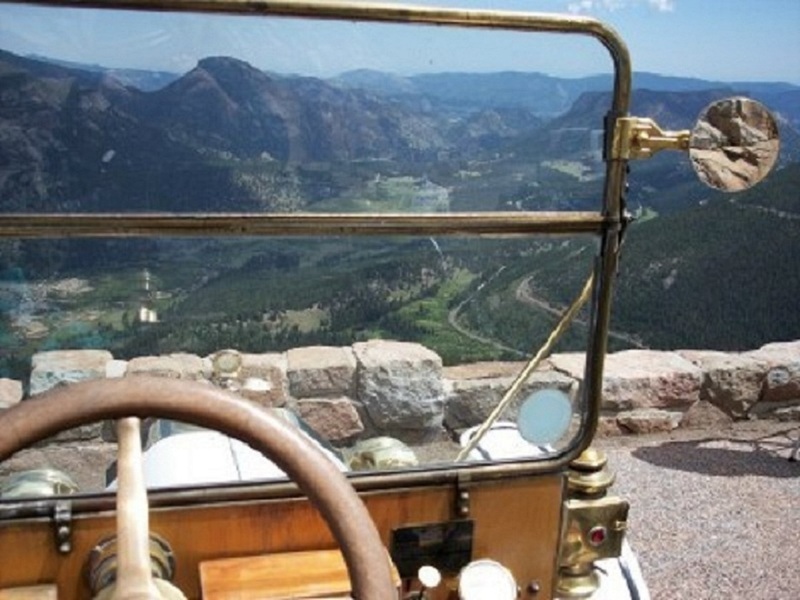 Remember when you are driving in the mountains in real life you have steep hills and moderate hills do you really want to be messing with your fuel mixture that much. Try driving the North Cascade Highway enough times then tell me you are going to be changing your fuel mixture that often. Again its you car I encourage you to drive it they way you want AND HAVE FUN. Tom & Dave - I think I'm sorry I ever entered into this discussion. However, at this point, I for one, NEVER said that retarding the spark to use the engine to help slow the car down would give you any more compression. Stated another way, retarding ignition couldn't possibly change the compression in any way! That's silly and doesn't make any sense! However, you've no doubt noticed that even with your engine just idling, with the car not moving, advancing the spark from full retard without even touching the throttle lever, makes the engine speed up a bit. Conversely, retarding the spark makes the engine slow down. Retarding the spark from your "sweet spot" which makes the engine slow down, will also help slow the car down A BIT MORE than if you left the spark lever in the advanced "sweet spot". Let me say this one more way. Let's say that on a level road, leaving you spark lever in the "sweet spot", and completely closing the throttle might slow your car down to approx. 15 mph but no more. Doing the same thing but ALSO FULLY RETARDING THE SPARK might slow your car down to approx. 10 mph instead of only 15 mph. Making a habit of this certainly requires very little effort and will just be that much easier on the brake band. Yeah, it's only a little difference, but in a lifetime of "T" driving, that little bit adds up. Awwww shoot! I gotta' say one more thing, then I'll shut up. I for one, wouldn't be mess'n around with the fuel mixture once I've got it set where the ol' girl really wants to run. And I CERTAINLY wouldn't shut off the ignition switch under any circumstances while the car is moving! For one thing, some of the unburned fuel will wash oil off of the cylinder walls (not good) and ya' just might blow your muffler all over the road! Not to mention the fact that according to many states "Rules of the Road", it's illegal to shut off the ignition while the car is moving as your car is then considered "out of control"! It's been a while since I've flown. I don't remember now at what altitude they used to recommend leaning the mixture. Seems like you left it at full rich until 6000 feet, then leaned it for best running. No doubt as your altitude (Or for the T, let's call it elevation) increases, the air is less dense and the engine would run richer, if not leaned. If you were going from sea level to 10,000 feet, you would probably notice the difference, or at least notice the difference that leaning the mixture made if you were to lean it. However, say you live it 6000 feet. You set the mixture when you start it up to where it runs well. You go for a drive in the mountains, varying your elevation +/- 2 or 3 thousand feet, I doubt you will notice much difference. As for the retarding of the timing, one day, I will do an experiment and report the results, similar to my E-Timer and E-85 experiments. As was mentioned above, I'll find a flat area and do some time tests for the car to slow from say 30 mph to 15 or 20 mph, with and without retarding the spark. I'll do several runs and average the results. I've seen some T's that you just flip the spark advance down to a spot and that's where they like to run, regardless of anything else. Mine doesn't run quite like that - and maybe that's why retarding the spark doesn't do much for those folks - cause the engine is just happier with the spark advanced and left alone, regardless of engine RPM. I'm guessing it's my low head and domed piston combo (leading to slightly higher compression) but my car is very sensitive to where the spark lever is positioned. This was true when I had stock ignition but is even more true with my high-tension mag. If I leave the spark advanced when I'm idling or trying to accelerate from a stop or slow speed, I can just feel the engine beating on itself as I try to speed up. It will do it, but it's not very pleasant. I try to drive my speedster like I have no brakes (even though I have a lined emergency brake and auxiliary ACs) so I do 80%+ or more of my decelerating with the throttle instead of the brakes. There is a definite, notable difference in the rate that I decelerate when I just close the throttle compared to when I close the throttle and retard the spark. My speedster is all in pieces at the moment, but I'll shoot a video of a test once I get it back together. A hill seems like it would be the easiest place to tell a difference, but I don't have many of those here in eastern NC. I think with a passenger it'll be pretty easy to accelerate to a specific speed, say 40 mph, and then at a landmark like a speed limit sign or telephone pole snap the throttle closed and see how long it takes to get down to 10 mph. Turn around and run the whole thing again but snap the throttle and spark closed. I can then go back over the video and post the time/speed splits every 5 mph. As long as there is very little or no wind, that should give a pretty good answer for my car. Would be interesting to see other folks do the same with different ignition systems - run the same test and see if there is a difference between battery and magneto. It may be harder for some folks to do if you don't have an accurate speedometer - my bike speedo is pretty spot on when I've paced with other cars and compared it to a standalone GPS and my phone's GPS speedo, the bike speedo even shows tenths of a MPH. Of coarse the motor will slow down if you are idling or driving on level ground. Your motor simply is not running as good. I am talking about driving DOWN HILL. 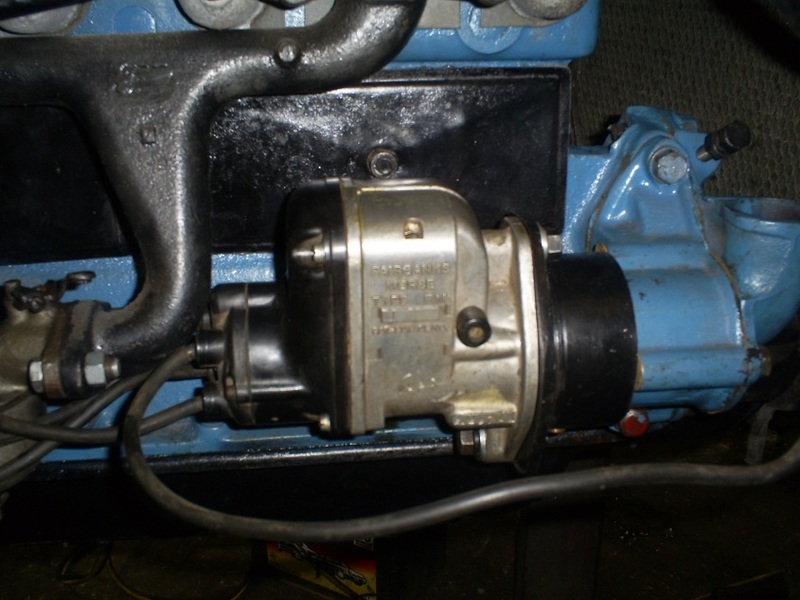 shutting off the timing is not going to increase your motor holding back the T, you shut the gas off. SIDE BAR; I wish you guys in Washington would put on a 5 day tour and do it some where from Wenatchee over the North Cascades to Burlington. I have done that in a T and really enjoyed the trip. One night could be Winthrop. Another neat town that could be the start of the tour would be Leavenworth. I was on a National Tour out of Levenworth many years ago and it was great. One must stop would be the gardens in West Wenatchee. I don't remember what the name was but we stopped on the National Tour and every one thought it was really great. 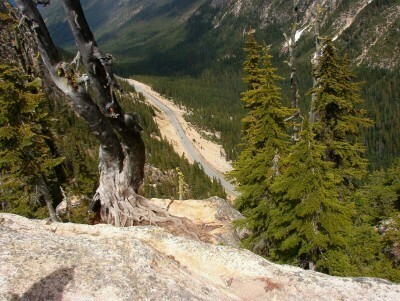 When I did the North Cascades in my T I stopped over night in Concrete but I don't know how much motel space there is. Harold, if you ever hear of any organized tour over the Cascades let me know and I will be there. Just so people will know the picture I posted of the cascades above is an overlook that you can stop at on the Cascades Route. I wish I had some pictures of the peaks that you pass by with the snow on them in the summer, a beautiful trip!! !